What constitutes a miracle differs from person to person, as all of our experiences are just one infinite spectrum. One of the miracles I’ve experienced in my life will probably sound lame to most: my older daughter asking me to play with her. But, as the father of a child named Skylar with autism who, at the time, faced seemingly insurmountable social and communication deficits, it was a dream come true. 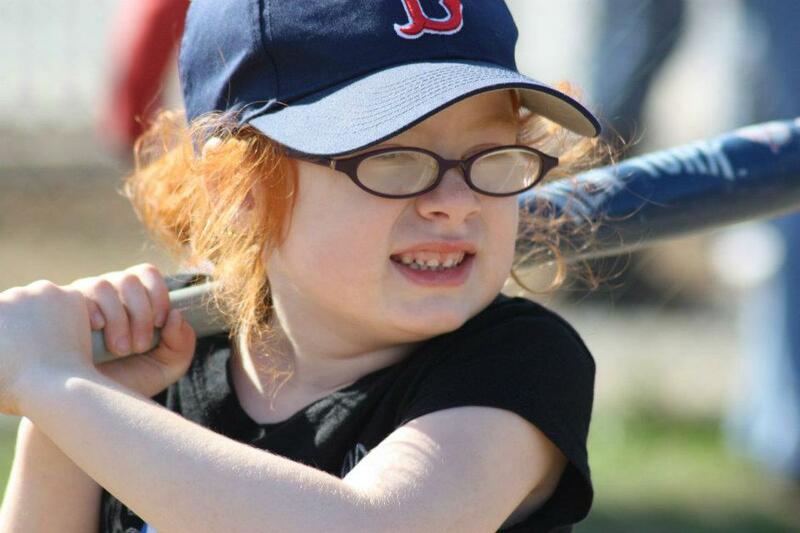 The game Skylar wanted to play was baseball and, not coincidentally, her request took place shortly after she first became a part of the Miracle League of Massachusetts (http://miracleleagueofma.com/) in 2010. 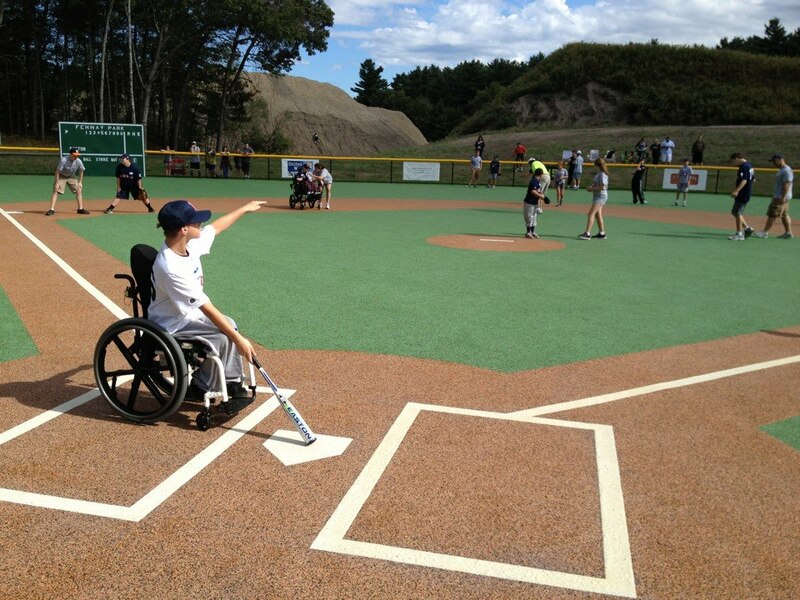 On the surface, the Miracle League is an organization providing kids with special needs the opportunity to play baseball. But as anyone who has ever played, spectated, or volunteered at a Miracle League game can attest, the experience goes well beyond a game. Kids with a wide variety of physical and emotional challenges are paired with like-aged “buddies” recruited from neighboring schools. Judging by the expressions of the buddies, they seem to get as much out of helping the players as the players get from having a typically developing peer coaching them. The games take place on The Joseph A. Lalli Miracle Field, an all-accessible, state of the art facility constructed to accommodate all physical challenges so nobody is left out. Players are given the opportunity to express themselves on the microphone, be it through song (Skylar used to sing “Take Me Out to the Ballgame” during the second inning stretch, for example), saying “play ball”, or to just give an impromptu take on the proceedings. The action is so well organized by league secretary Lauren Richardt that parents and caregivers are able to sit back and enjoy the action instead of engaging in the Chase, Hover, and Apologize modus operandi so many of us grew accustomed to when bringing our unique kids to games and activities put on by other organizations. 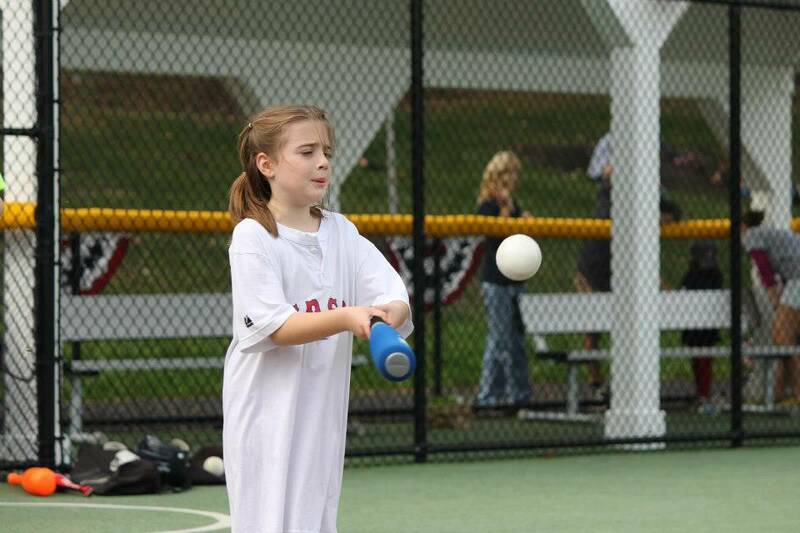 The main thing the Miracle League provides is an extended family. Everyone involved is volunteering— meaning everyone purely wants to be there. Such spirit is embodied by league president and co-founder Rich Shertenlieb, who has spent years driving a great distance to provide 6 hours of the most energetic, empowering play-by-play of the action anyone could ever deliver, making every player (and, by extension, parent or caregiver) feel like not only a star athlete but also a rock star (which, of course, the players are). The fact Rich himself is a star (as one half of the top rated Toucher and Rich radio show on 98.5 The Sports Hub) and, yet, spends a dozen Saturdays a year making everyone’s experience over the course of countless games so positive sets a tone that has clearly resonated. A couple of years ago, Rich’s wife (and league Vice President and co-Founder Mary Shertenlieb) was diagnosed with acute myeloid leukemia. The intense treatment Mary required made it so attending the games was no longer possible for the Shertenliebs but the sterling example he, as Voice of the Miracle League, set can be found in a number of fill-in announcers who have done a remarkable job following in his footsteps. 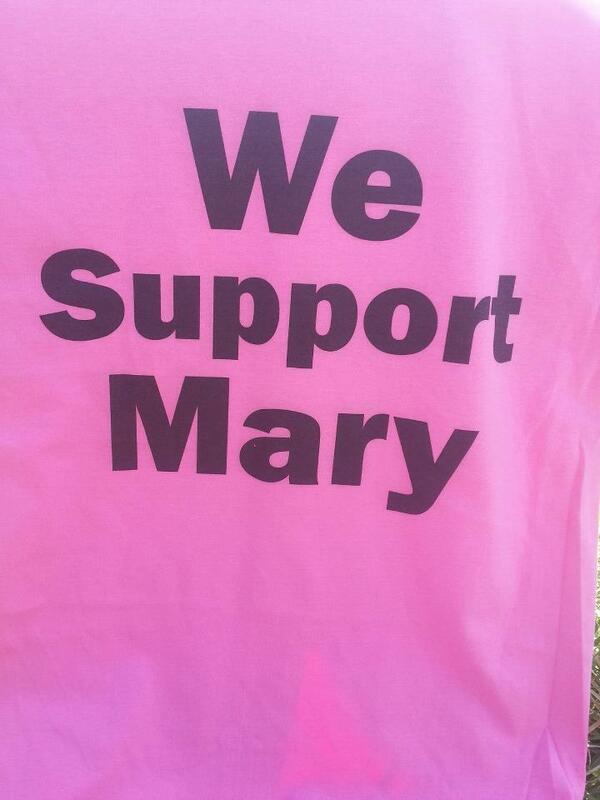 Rich and Mary may not physically be at the games these days but their presence remains, as evidenced by the dozens of pink We Support Mary t-shirts that can be seen any given week during the seasons adorned by men and women and adults and kids alike. The extended family mentality even extends to other non-profit organizations. 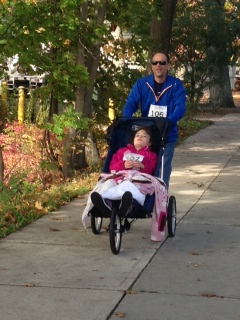 Three years ago, months prior to The Miracle Field being constructed, I wanted to do my part so I offered my services as a race director and fundraiser to Miracle League treasurer Andy Richardt. My hope was to put the Miracle League over the top in their quest to finish the field and, coming from an autism fundraising background (where the approach is generally well-intended but falls between extremely earnest and evangelical), I had some ambitious ideas that Andy, much to my initial surprise, wasn’t in total agreement with. His reason was simple: he didn’t want to reach too often into the pockets of the very people the league was designed to serve. The more I considered his point of view, the more I realized just how right Andy was—so much so I’ve adopted a similar attitude about fundraising for the non-profit I co-founded with my wife Jennifer earlier this year called Diamond Is the Sky (www.diamondisthesky.org). 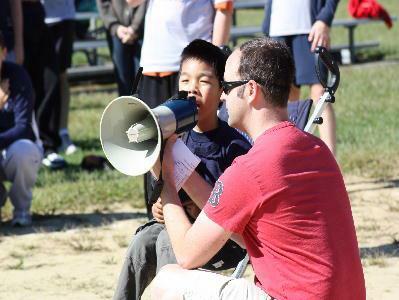 Rich holding the bullhorn so Justin can sing the National Anthem in the pre-Miracle Field days. Anyone who attended the Diamond 5K this past Sunday discovered what anyone who has attended a Miracle League game has known for years: nobody can sing like Justin! Andy’s support of Diamond Is the Sky goes well beyond the philosophical. When the town fee for a one-hour soccer clinic on The Miracle Field put on by Diamond and another newer non-profit, Sidekick Soccer Academy (http://www.sidekicksocceracademy.com/), struck me as steep for the level we were at, Andy jumped in and paid it without even being asked. Andy, in fact, is the one who put me in contact with Sidekick to begin with—another like-minded entity we intend to continue to collaborate with. Andy has put me in contact with other people and organizations too. He has truly shined as one of the very top supporters and sounding boards during the often scary first year of existence for Diamond. 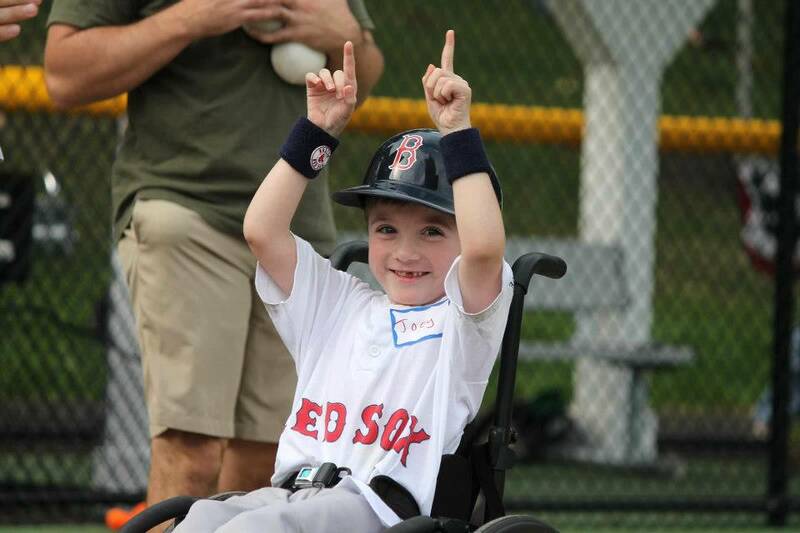 The support of Andy and the extended Miracle League Family toward Diamond was also felt this past Sunday, when we held our 1st Annual Halloweenfest and 5K in Worcester, only the second fundraiser in our brief existence. Despite chilly temperatures and intense wind, Andy and Ed O’Neill—himself one of the Miracle League’s most dedicated, valuable, and tireless contributors—drove 45 minutes to grace us with their presence. 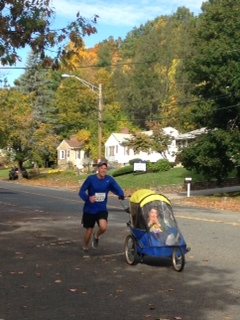 The sights of Andy pushing his son Henry and Ed pushing his daughter Emma in modified jogging strollers were amongst my favorite of the event. And the fact Andy and Ed—people who have already given so much for others despite facing challenges in their own parenting lives well beyond what 99.9% of us can comprehend—gave up their morning to be there for me is something I’ll never forget. I’m truly proud and honored to call them my friends. This Saturday night, the Miracle League of Massachusetts will be holding their Annual Casino Night Fundraiser at The Chelmsford Elks (http://events.r20.constantcontact.com/register/event?llr=ji4icbhab&oeidk=a07e9uee5ua0a44cd6f) and though my gesture doesn’t compare, I will be there for them. Not only is Casino Night always a great time, all proceeds from the event go to the cause—in this case creating miracles for people with and without special needs like they did for an autism parent back in 2010. Please consider attending or at least supporting this amazing organization.